This is the final post in our series on the Historical Luther. Today’s post summarizes the perspectives of Oberman, Hendrix, and Kolb on Martin Luther, and offers some concluding remarks. After this series on the Historical Martin Luther, we are left with some questions: Which of the works that we have surveyed best describes and explains the life, development of thought, and theology of Martin Luther? Does Oberman, Hendrix, or Kolb distinguish himself amongst scholars as presenting a perspective that offers adequate explanation for the general scholarly consensus regarding Luther? While there are certainly differences of opinion and scholarship concerning Luther, the core of this theology, his educational and theological influences, and the “reformation breakthrough,” each of the scholars that we have examined here has done a job worthy of commendation. To choose a single scholar over the other two would be a disservice to the great amount of unity between the accounts. Certain divergences can easily be explained as a difference in interpretation concerning facets of Luther for which we have little hard evidence. Each scholar presents contributions to the realm of Luther scholarship that are valuable resources for future study in the field. 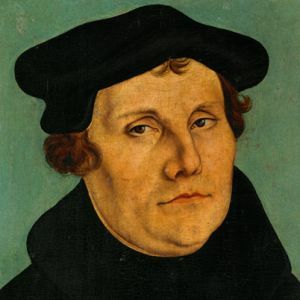 Beginning with overarching summaries of the respective positions of each scholar on the central concerns of Luther’s theology and a brief word on method and presentation, we discovered that Oberman, Hendrix, and Kolb each present a unique and important aspect of understanding Martin Luther. Oberman presents Luther as foremost involved with a pursuit of eternity that takes the Christian upon a path between God and the Devil. Hendrix argues that Luther is best viewed as a primarily pastoral reformer who sought to remind Christianity of the true theology and relationship between God and man. We then viewed Kolb’s argument that Luther’s central tenant of theology was his formative understanding of the Theology of the Cross and its implication for the relationship between God and man. Further examination of each scholar’s perspective on the formative influences of Luther scholarship reveals additional diversity of explanation. Oberman emphasizes the role of Hans and Margaret Luther, along with Luther’s traditional Catholic upbringing within the German medieval context, which seems to have included at least a form of belief concerning the Devil and witchcraft. Hendrix adds to this early understanding of Luther a variety of organizational influences, influences that Kolb names for us, though aside from scripture, Augustine and Staupitz seem to be the clear consensus among scholars as important influences for Luther. Concerning the “reformation breakthrough”, while Oberman and Hendrix view the event in terms more limited to the theological understanding of ‘justification by faith’ with very practical implications for the Christian, Kolb presents the perspective of that development within a larger framework of understanding a renewed relationship between the human and the divine. While we cannot choose a single perspective presented here as a fully authoritative interpretation of the life and theology of Martin Luther, the perspectives of Oberman, Hendrix, and Kolb all provide distinctly different viewpoints on Luther, each of which yield a positive effect on Luther scholarship as a whole and offer important insights to the academic community. Oberman, Hendrix, and Kolb, while arranging their works and arguing their points from often very different perspectives, with different goals, and different emphasis, each contribute evidence to a view of Martin Luther as a man who ultimately sought both a merciful and gracious God opposed to the Devil and a Christ centered theology that impacted the everyday Christian. Martin Luther was a man whose thought and theology changed and continues to change the world, and Oberman, Hendrix, and Kolb all present admirable work detailing his thought and development.